A U.S. military helicopter made an emergency landing Monday in Japan's Okinawa islands, the second such incident in three days. A Marine Corps AH-1 attack helicopter with two people aboard landed in a field at a waste disposal site in the town of Yomitan on Okinawa's main island, according to Japanese media reports. No injuries were reported. Photos showed an apparently intact helicopter parked in a grassy area. The U.S. side told police that a warning light had indicated a problem with the aircraft, public broadcaster NHK said. The Marines said in a statement that the helicopter had been repaired and would return to base as quickly as possible. 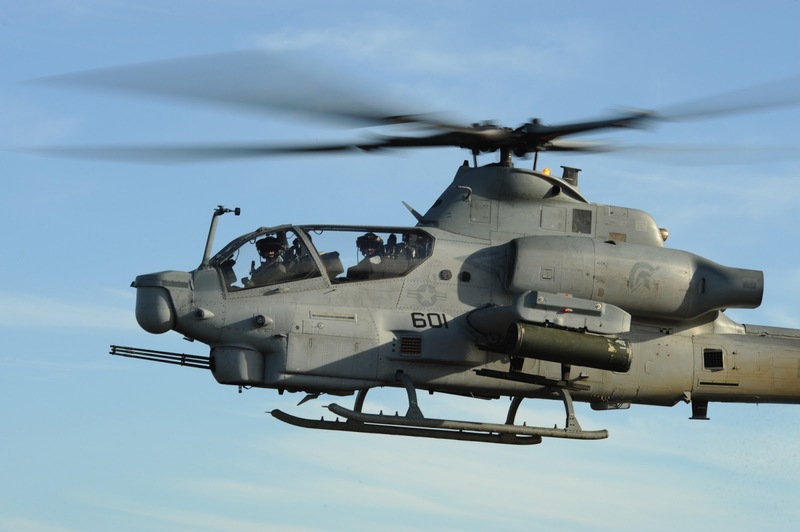 "We remain committed to both the safety of our neighbors in the communities in which we live and the safety of the Marines who fly on our aircraft," it said. An air centric Marine Corps is JUST NOT DOABLE! They will continue to wear out men and machines in the push to make the impossible happen. It's past time to return to a balanced force. Stop chasing dreams laid out by Think Tanks and start doing the work of protecting the nation!